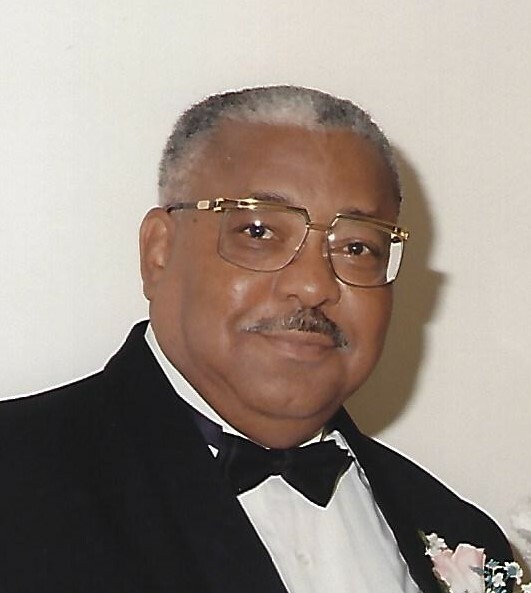 Obituary for Dr. Edward McGhee Williams | Carl M Williams Funeral Directors, Inc. Alumnus Edward McGhee Williams ‘54, affectionately known as “EB”, was born December 10, 1933 in Augusta, Georgia. He was the oldest of three sons born to the late Dr. Edward Buchanan Williams and the late Mrs. Beatrice McGhee Williams. After obtaining advanced degrees Columbia University, both parents returned to begin long-term teaching careers at Morehouse and Spelman College. Thus, EB’s rich heritage and great love affair with Morehouse College began at an early age. His childhood years were spent living on Fair Street, in Morehouse owned housing across the street from the main campus. He earned the nickname “Little EB” after his father, as he would play and run all around campus. EB’s brothers, Robert M. Williams ’62, Joseph M. Williams ’66 (deceased) were also Morehouse Men. EB was baptized at an early age at Friendship Baptist Church in Atlanta, GA where he participated in the Male Choir. Later, in 2006, EB would reaffirm and make a public profession of his belief and faith in Christ for the benefit of his eternal security and for his family. EB served his Lord through his profession, generosity, meeting the needs of people, and especially by guiding and assisting young men in their educational and athletic pursuits. Circa 1960, on The Atlanta University Center Campus, EB met student and future bride Davide’ Etta Bradley. In fall 1961, EB married Davide’ and to this union three sons and future Morehouse Alumnus were born - Brent McGhee ‘84, Kurt Bradley ’87 and Scott Harper ’91. In September 2010, EB married longtime sweetheart and close companion Shirley A. Manor. They enjoyed extensive travel and she remained his devoted wife until her passing in 2014. Shirley’s son Glyn Manor ’92 is also an Alumnus. EB, like his parents and brothers, placed an emphasis on education. He graduated from Atlanta’s Booker T. Washington High School in 1950 and later that year enrolled as a freshman at Morehouse College. While attending Morehouse, EB was initiated into the Alpha Rho Chapter of Alpha Phi Alpha Fraternity, Inc. fall of 1951. EB received a B.S. in biology with a minor in chemistry in 1954 from Morehouse. In pursuit of his post baccalaureate educational goals, EB enrolled in advanced studies at the University of Michigan and Fisk University on a National Science Foundation Grant. EB received a master’s degree in biology from Atlanta University in 1963, and a D.D.S. from Howard University, College of Dentistry in 1968. EB completed his first and second year of residency in Oral Surgery at Howard University from 1969-1971. In 1971, EB returned to Atlanta to become the first fully trained and licensed Black Oral Surgeon in the city. Later that year, EB would open his practice on the fourth floor of the Citizens Trust Bank Building on Piedmont Avenue. Citizens Trust was a hub and center of influence established so that black businessmen could own and operate businesses independently of white-owned financial institutions. On the fourth, Dr. Edward M. Williams (Oral and Maxillofacial Surgery) would join with Dr. Timothy Meyers (Orthodontics), and Dr. Benjamin Blackburn (Prosthodontics) to create a unique relationship, an informal inter-referral partnership group of private black dental practitioner specialists. He would remain in private practice for 36 years until his retirement in 2007. EB received numerous certificates, awards and recognitions throughout his medical training and illustrious career. One award to mention, the American Dental Society Award of Anesthesiology for Pain Control, was a coveted award and skill recognition as an Oral Surgeon and care provider to his patients afraid of the prospect of dental pain. One fixture in his office was artwork dubbed the “Gentle Giant”. EB worked and served his community through his profession. In addition to his private practice (1971-2007), EB had an extensive work history that included: Clinical Laboratory Specialist, US Army (‘54-‘56); Teacher, Price High School, Atlanta, Ga. (‘58-‘63); Oral Surgeon, Atlanta Southside Community Health Center (‘71-‘76); Lieutenant Colonel, U.S. Army Reserve Dental Corp. (‘76-‘83); Fulton County Deputy & Oral Maxillofacial Surgeon, Fulton County Jail (‘77-‘06), Regional Dental Consultant, National Jobs Corps, Washington D.C. (’79-’95); Dental Director, Atlanta Southside Health Care Center (’83-’99); Dental Consultant, State of Georgia Department of Medical Assistance (’88-’06). One of his favorite jobs was as a Clinical Associate, School of Medicine, Morehouse College ‘80 -’82. EB was known for his “life” lectures and graphic surgery slide presentations to the undergraduate biology club and aspiring physicians. EB served as President, Morehouse College Torchbearers (’95-’99). EB served his community through organizations such as a founding member of the 100 Black Men of Atlanta and The Atlanta Guardsmen, through Advisory and Board Directorships from the Butler Street YMCA and West End Medical Center, to the Carrie Steele Pitts Home and the State of Georgia Department of Medical Assistance. EB was a “Big Man with a Big Presence” known for working hard and possessing a direct and straightforward personality. He also had a sharp wit, an irresistible charm, and a booming, playful, fun loving disposition. His abundant life shown through his passions included everything Morehouse College especially football, Pro Sports (Falcons), Travel, Food and Laughter. EB was a sideline support fixture on game day. He enjoyed organizing Morehouse Alumni football bus trips and never met a Maroon Tiger player he did not love or help. Alumnus Edward McGhee Williams lived an “Abundant Life”. He transitioned to Glory, March 24, 2019. He transitioned to Glory, March 24, 2019. His parents, his wife Shirley, his brother Dr. Joseph W. Williams and his nephew Brandon C. Williams, preceded him in death. He leaves to cherish his memory: Davide’ B. Williams; sons Brent M. Williams, Kurt B. Williams, Scott H. Williams; daughter-in-law- Tereon “June” Williams; step-son Glyn Manor Jr. (Tracey); grandchildren Quinci O. Williams, McKenzie Manor; Glyn “Trey” Manor III; brother Robert M. Williams; niece Joron Williams Murry (Eduardo); nephews Dr. Kevin B. Williams (Shamita), Rodney W. Williams, Ryan F. Williams; great-niece Eryn Gilstrap, great-nephews Dakarai Williams and Maddox Murry; a host of cousins, extended family members, friends and his beloved Morehouse College community. In lieu of cards and flowers, your donation to the 41st Annual E.B. Williams Honors Banquet will help reward the academic achievements and excellence of hard working students within the division of Business Administration and Economics at Morehouse College. Thank you kindly for your support of them. Please click on the button below, and type EXACTLY "E.B. Williams" in the 'Fund Description' area.